Things will never be the same between China and President Duterte after the latter’s unprovoked comment about businessman Michael Yang and Chinese Ambassador Zhao Jianhua at the dinner with officers and members Philippine Military Academy Alumni Association, Inc. last October 4 in Malacañang. They will use him to further China’s interest for the remaining time of the Duterte presidency, which is now uncertain in the light of his revelation that he had to go through tissue tests following an endoscopy and colonoscopy three weeks ago. They see him now as “somewhat crazy”, someone they should be nice with but wary about, according to a source in the Chinese community. Fresh from his “day-off” to undergo laboratory tests at the Cardinal Santos Medical Center in San Juan, Duterte was his usual talkative self. He started with his maraming-beses-ng-bumenta line of setting aside his prepared two-page speech and rambled. He talked of the same things he had been talking even before Day One of his presidency: about his reluctance to run for president in 2016 because he had no money, his son Sebastian’s predilection for women, his wise daughter Inday Sara, his fight against corruption, etc. And of course his disdain for drugs. 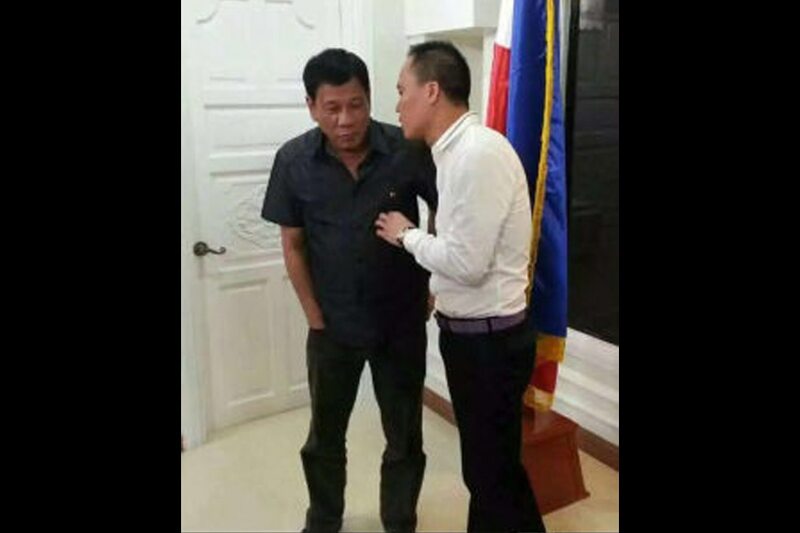 Is Duterte talking of blackmail? What intrigued us is why Duterte and even Roque and Cayetano, in their statements, did not mention that Yang is a “presidential economic adviser." That’s according to the businessman’s website (www.opea.com.ph). While the title “presidential adviser” is usually bestowed as a favor to election contributors and friends, it is actually just for calling card purposes. But Yang has his emblazoned at the entrance of his plush-looking office. 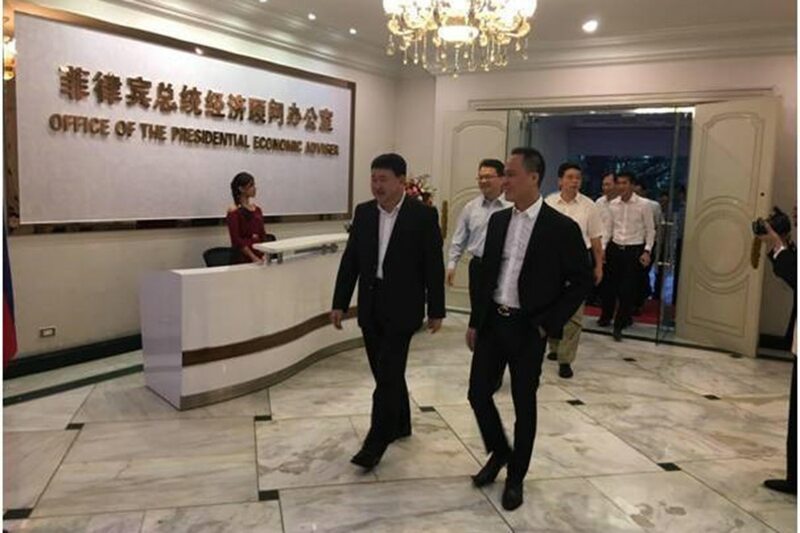 A DFA source said he startled Philippine Ambassador to China Chito Sta Romana when he dropped by at the embassy in Beijing a few months ago and demanded for an office space there. We have to check yet if he got what he asked for. Yang’s credentials in his website reads: Ph.D. in Business Administration, Princeton University; Philippine Chinese Chamber of Commerce Labuan; Executive director of the Philippine Chamber of Commerce; Vice Chairman of China-Philippines Friendship; Managing Director of Fujian Normal University. 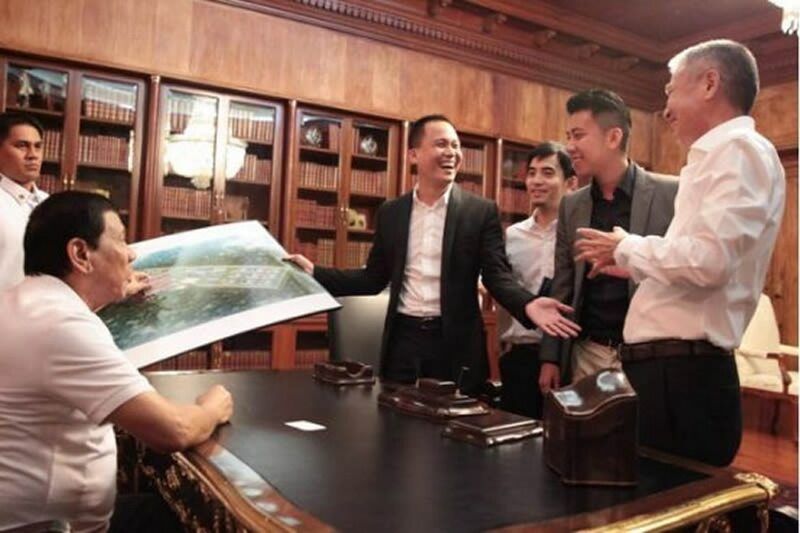 Yang’s company website (which strangely does not state the office address) has a photo gallery which shows him with Duterte, and some members of the cabinet. He also has a photo with Chinese Foreign Minister Wang Yi and Ambassador Zhao. There’s a photo online showing him part of the presidential entourage during the Duterte’s state visit to China. Yes, there is a lot of talk about Yang and his relatives’ involvement in the illegal drug trade. His name has been linked to the President’s son, former vice mayor Paolo Duterte. But the President has dismissed it. “Hindi ako maniwala niyan…You would think Ambassador Zhao with his 10,000 walking Chinese here, magpayag siya na matulog sa bahay. (I don’t believe it. You would think with his 10,000 walking Chinese here, would agree to sleep in his house.)" 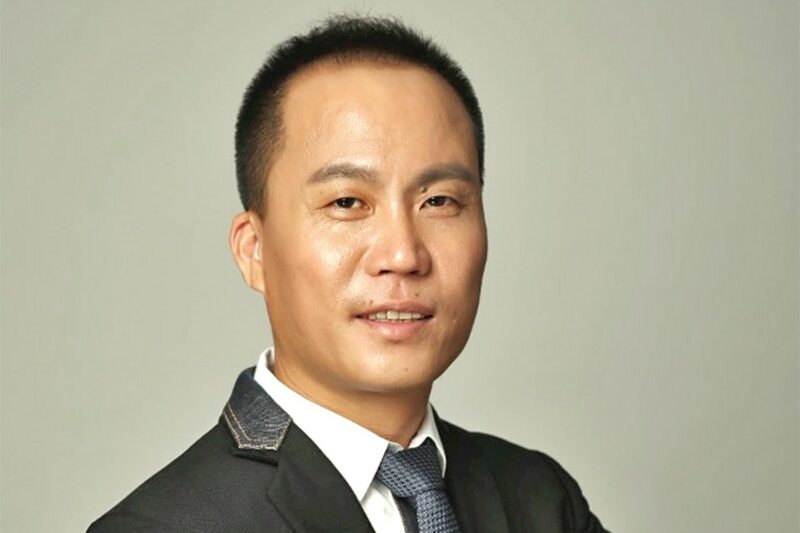 We are actually glad our loose lip President talked about Michael Yang. We are just imagining the reaction of Ambassador Zhao.